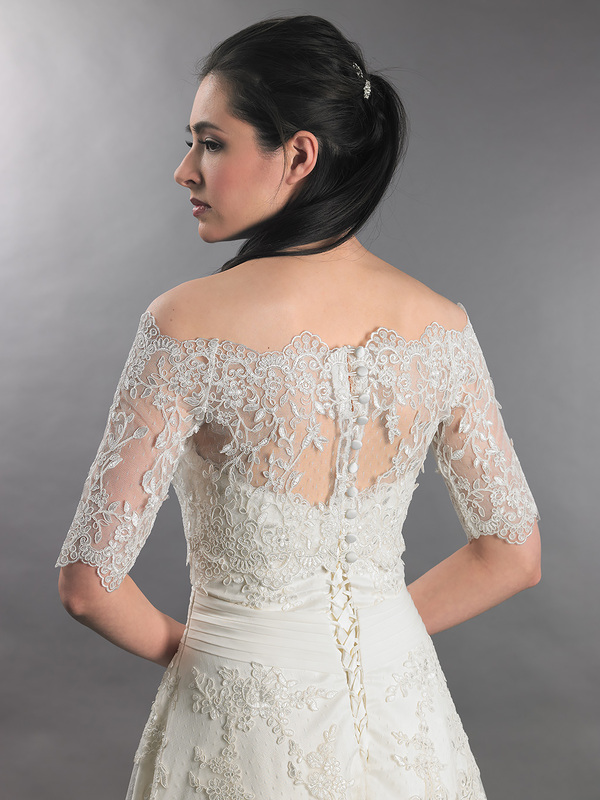 This is a beautiful off-shoulder dot lace bridal bolero wedding jacket with alencon lace trims. The color is in ivory. It features satin wrapped buttons at the back. XXL size normally fits US size 18-20. 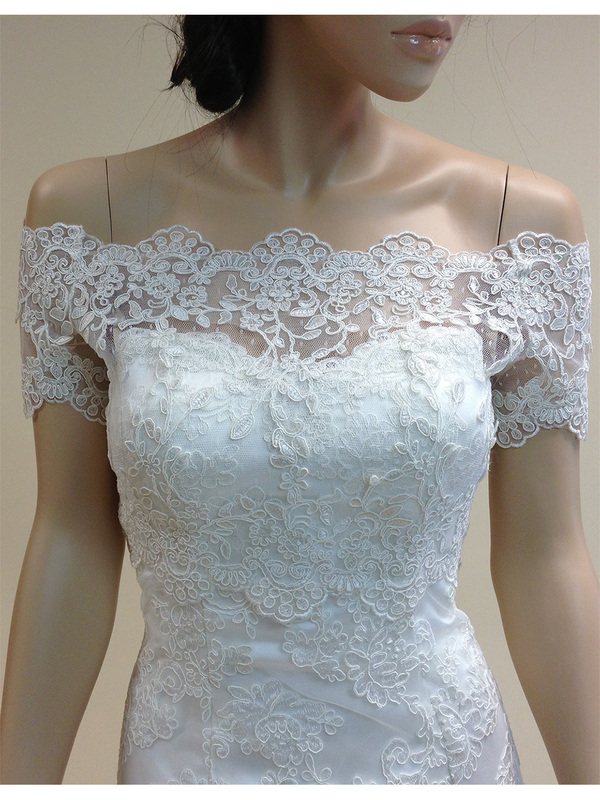 BUST 33.5" 35.5" 38" 41" 44.5"
I am having a vintage wedding - and I didn''t like the idea of showing my arms. I looked around a lot before I found this one, and thought about it a lot before I decided to order - because I always like to try things on first. However, the sizing chart was true to size and the shrug fit perfectly - no alterations needed! It''s very comfortable - and although it is delicate and beautiful, I don''t feel like it will snag or tear easily. 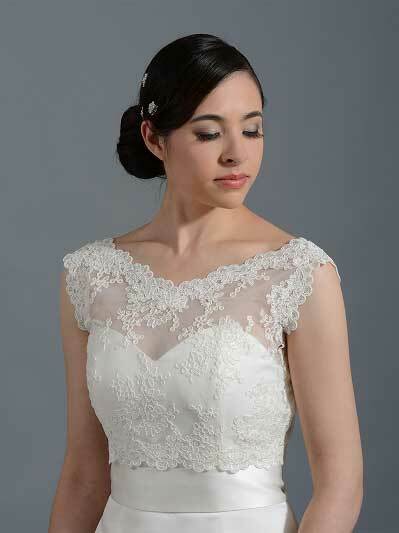 VERY happy with my purchase and I can''t wait to wear this on my big day! 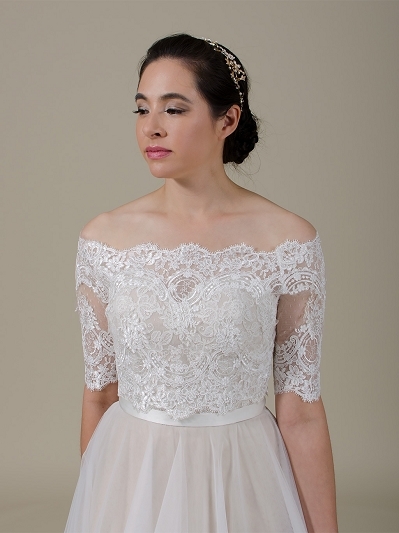 There are so few dresses with sleeves I decided to see if this top would work with my wedding dress to give me a unique look. 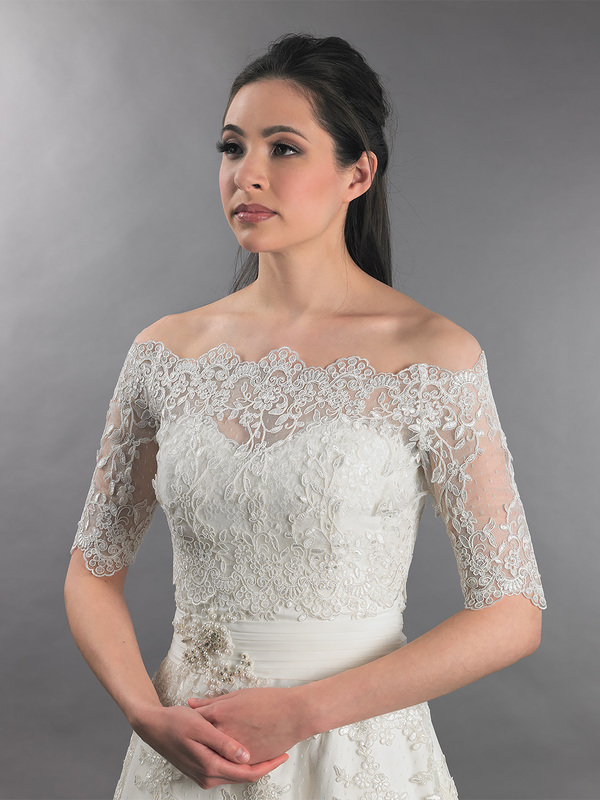 I was really impressed with the workmanship and the beauty of the lace in this piece. 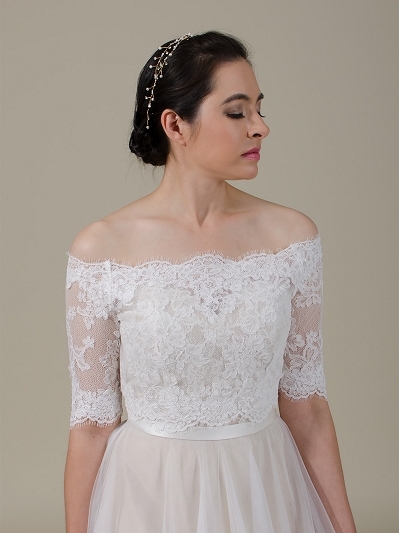 It goes perfectly over my strapless dress and looks really good. I just wanted to thank you for the garment, it is absolutely stunning. It is definitely better than I expected, more beautiful than photographs. 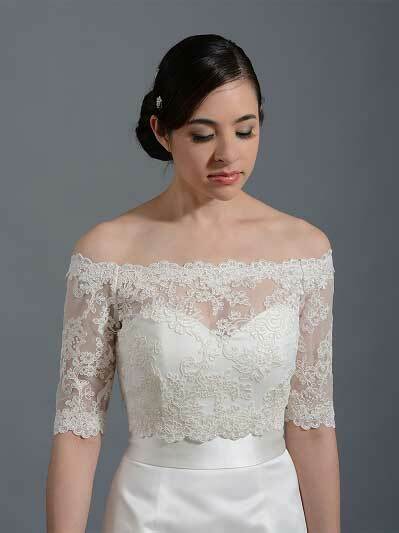 A really good quality lace, professionally finished. Very very pleased! I would highly recommend to anyone without any hesitation!